A fire is a frightening experience. Once the flames have been extinguished, injuries treated and nerves calmed, the next step should be to contact your homeowner’s or business insurance agent. Program their number into your phone’s contacts list, along with your policy number, because you’ll be calling them several times over the next few days. Give them a brief description of the situation, such as the source of the fire, if known, and a rough estimate of the extent of the damage. For example, was the fire contained to the stove or is the house a total loss? The insurance company can also help with immediate needs, such as shelter. Before you can submit a claim, you’ll have to inventory the losses. This may take some time, depending on the severity of the fire. Make detailed notes about the condition of items and decide what can be restored and what must be discarded. Have a restoration company look over the area before throwing anything away; you might be amazed at what can be restored by professionals. Be sure to include as much paperwork as possible while taking inventory, such as receipts, photos, appraisals and other documentation. Keep track of any expenses you incur as a result, such as eating out, hotels, or restoration/clean up. You can file for reimbursement for these expenses too. Keep a notebook handy and write down the claim number, the name and phone number of the claims adjustor and any other insurance representative, and other important information. There will be many phone calls during the first days after a fire, and having this information close by will make it easier. Make sure to get copies of the fire department’s report, as well as reports from the police and hospital, if applicable. The insurance company will have paperwork, so the sooner it’s completed, the sooner the claim can be processed. According to the National Fire Protection Association, there’s a home structure fire every 86 seconds, and if one of them is yours, rely on the professional disaster restoration companies. 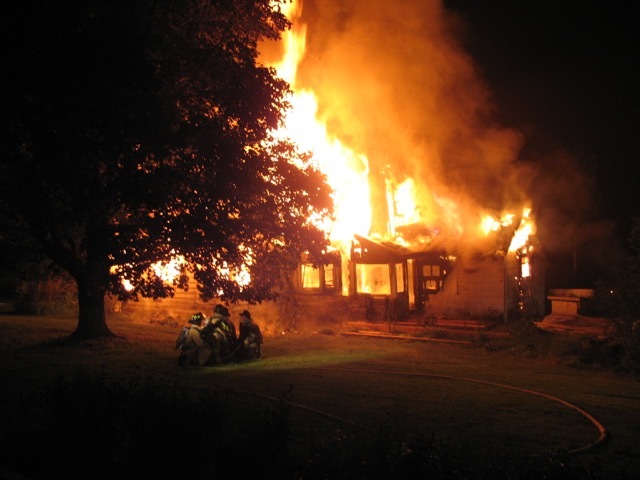 They’ll be on the scene of fires within 2-4 hours of your call to limit the damage and begin the restoration process. They’re highly trained in fire damage restoration methods and usually they’re the preferred vendor for many local insurance companies, making the claim process less stressful.